This fun scuba dive in Nusa Penida is perfect for certified divers who are looking to explore the exotic marine life of the dive sites near Nusa Penida. This one day trip will offer you two dives that will take you to the depth of 10-30 meters (30-100 feet) depending on your prior level of certification. You'll dive into the clear blue water of the Bali sea at two popular dive sites and discover the rare and exotic marine life like the Mola Mola and Manta rays, along with 250 species of corals. Please note that only divers certified as PADI Scuba Diver or higher certification are allowed to book this trip. From all the gorgeous dive sites that the Bali Sea has to offer, the ones near Nusa Penida are some of the most stunning, with a diverse roster of marine life and unique views of the sea floor. A few of the dive sites include the Manta Point, where you can swim alongside with manta rays, and Crystal Bay, where you can spot often humongous Mola Molas and dolphins. Based on your prior certification level, your dive instructor will select a suitable dive site with pleasant water temperature and decent visibility. • Go scuba diving in Bali at the fascinating dive sites of Nusa Penida. • Complete two open water dives in the Bali Sea. • Spot Manta rays, Mola Molas and 250 species of corals. • Relax in the tropical weather of Bali. 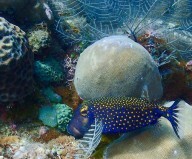 Do not touch or harm any corals or marine life during your scuba dives in Bali. You must adhere to the instructions of your dive instructor at all times. The operator will provide all the necessary equipment for the scuba dives in Bali. You must use the equipment with utmost care. Travellers are strictly prohibited from consuming any drugs, alcoholic beverages or other intoxicants before or during the scuba dives in Bali. For cancellations made more than 7 days before the scheduled date of your Bali scuba diving trip: 80% of the trip cost will be refunded. For cancellations made 3-7 days before the scheduled date of your Bali scuba diving trip: 50% of the trip cost will be refunded. For cancellations made less than 3 days before the scheduled date of your Bali scuba diving trip: no refund. All refunds will be processed after deducting a transaction fee. Please check with us what this transaction fee will be for this trip. Divers are required to carry their previous PADI card to authenticate their scuba diving certification level. The operator reserves the right to cancel, alter or reschedule the itinerary of this scuba diving trip in Bali due to any unforeseen conditions such as bad weather or natural disasters. The operator is not responsible for any injury or accident during the Bali scuba diving trip. Travellers will have to sign an indemnity form before starting the scuba diving trip in Bali. Any damage or loss of equipment will be charged at the cost price of the gear and has to be borne by the traveller. Go scuba diving at Nusa Penida! Have a light breakfast before your pick-up arrives in the morning. You'll be heading on a short drive to the dive centre in Sanur, where you will have a short briefing session with your instructor. You'll then continue your journey to Nusa Penida, on a speed boat from Sanur jetty. Over the course of the day, you will complete 2 dives, going as deep as allowed by your prior level of certification at two dive sites near Nusa Penida. An appetizing lunch with snacks will be served in between your dives. You'll head back to your dive centre in Sanur by late afternoon. Your trip ends here. 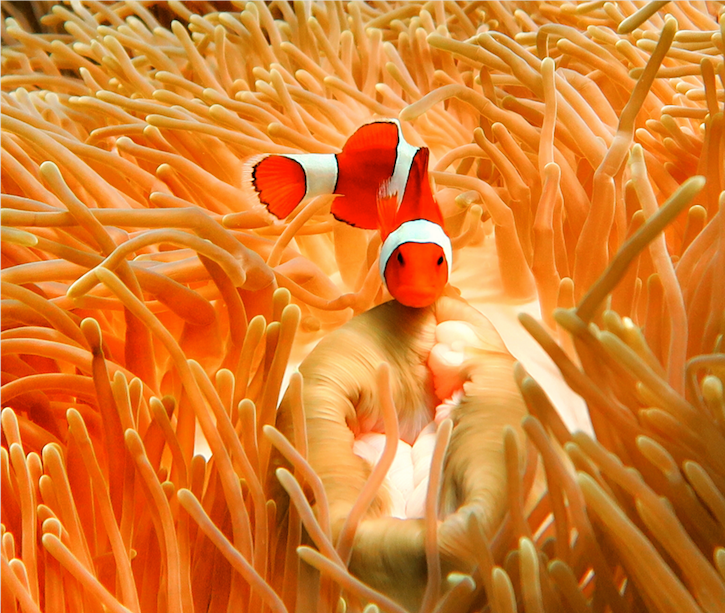 See brightly coloured fishes and vibrant corals. All equipment required for scuba diving equipment: BCD, regulators, wetsuits etc. Pick-up time is approximately 07:00 hrs, depending on the location of your hotel. Today's meal package includes lunch, usually a mix of Thai and Western cuisine. Tea/coffee will also be available. Lunch is served between the two open water dives. Drop-off time is approximately 16:00 hrs, depending on the location of your hotel. You'll be picked up from your hotel in Sanur, Kuta, Seminyak, Benoa, Nusa Dua or Jimbaran. If you're not staying in the locations mentioned, you can hire a private cab or taxi to reach the dive centre. The operator will arrange the transport till the start point.